Cute and yummy Barbalala snack for kids. 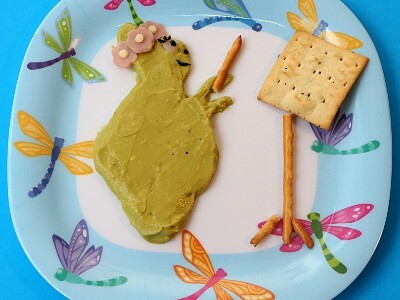 It is made of avocado, ham, cheese, black olive and served with a cracker and biscuit sticks. Try it yourself! Who doesn’t love Minnie Mouse? 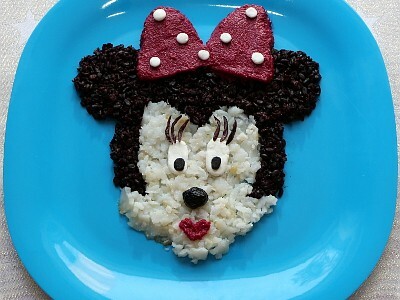 What about Minnie for dinner? 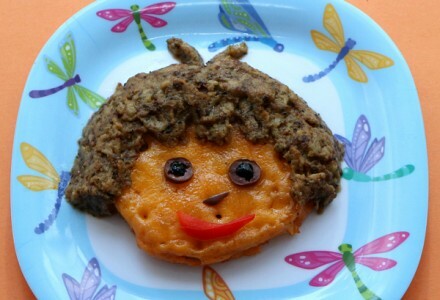 This cute and delicious meal for kids is made of black rice, fish and beetroot mousse. The addition of goat cheese balls and olives makes it really yummy! 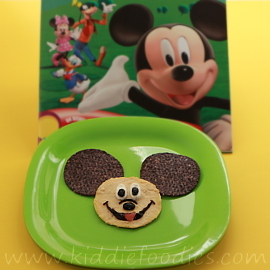 Irresistible Mickey Mouse snack! Funny and yummy, it is made of pita bread, hummus, blue corn tortilla chips, olives and cheese. 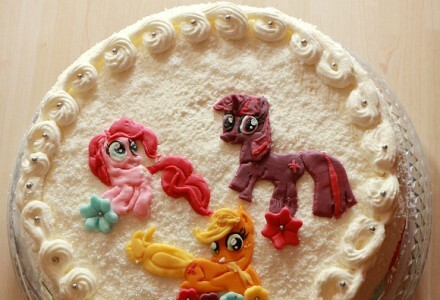 Who wouldn’t like to try it ?! Healthy and delicious hot sandwich brought to your kids by Dora! It is made of bread, eggplant mousse, egg, cheese, olives and pepper. Try it yourself! 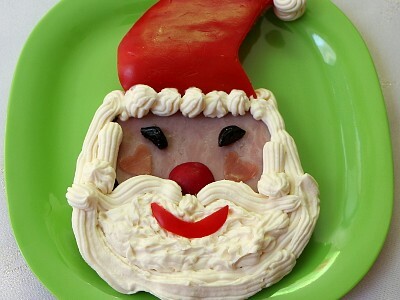 Tasty and simple Santa Claus sandwich that brings a smile on the little ones. Made with bread, ham, cheese, red pepper, olive and radish. Perfect for Christmas time!